This entry was posted in Apiculture, England, Europe, Food, Photo Challenges, Photography, Science, Travel, Weekly Photo Challenge, Wordless Wednesday and tagged Apis, England, Europe, Food, Maracuja, Passion Fruit, Photography, Science, Travel, Weekly Photo Challenge, Wordless Wednesday. Bookmark the permalink. What a unique flower — I’ve never seen one like that! That’s passion fruit flower! Beautiful, right? Beautiful. Thank you for following my blog. 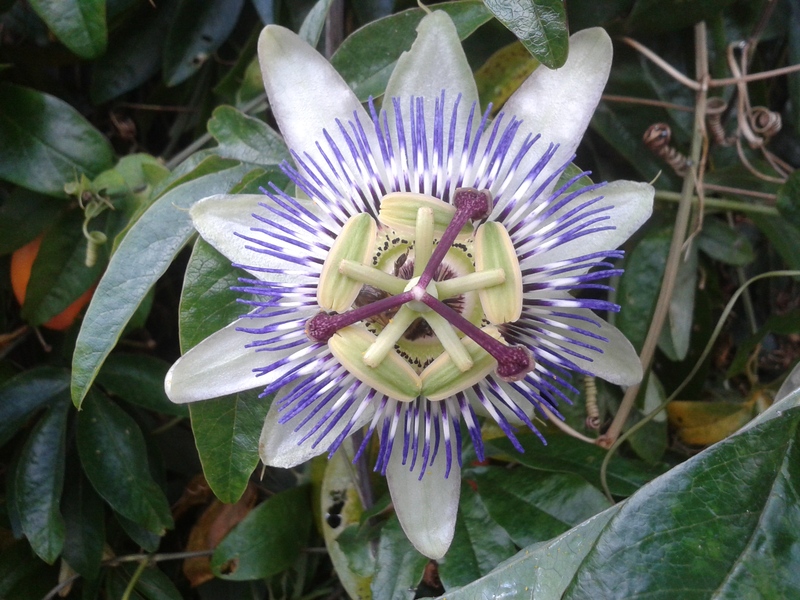 I have never seen a passion fruit flower before. Without your follow I probably would have had to wait even longer. Thank you for reciprocating! I hope that I am able to keep you interested and always coming back! Thank you! That’s passion fruit flower! Delicious passion fruit! Maybe you wouldn’t enjoy them, but they are great!